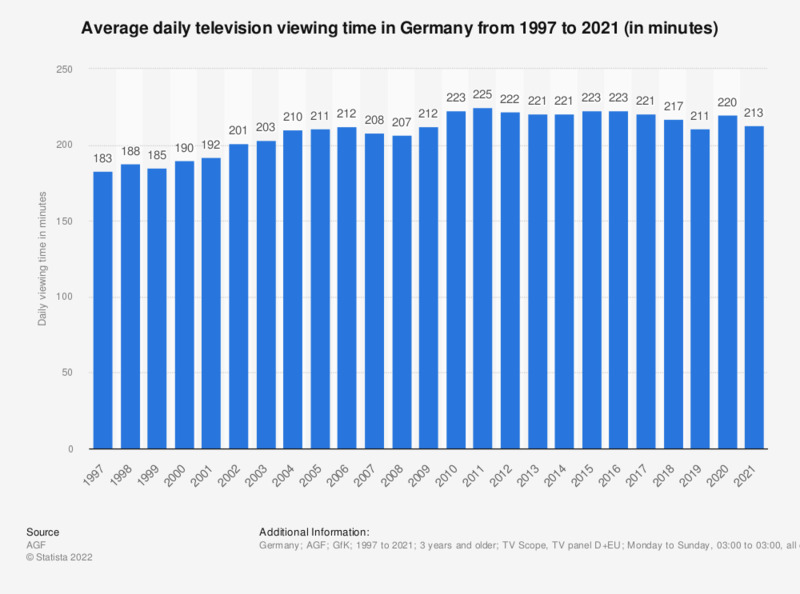 This statistic shows data on the development of the daily television consumption in Germany from 1997 to 2018. In 2018, the average German television spent 217 minutes watching TV every day. Compared to 15 years earlier, this was an increase of 14 minutes. 1997 to 2000: FRG total; 2001 to 2015: TV panel D+EU; from 2016 onwards: German language TV panel.